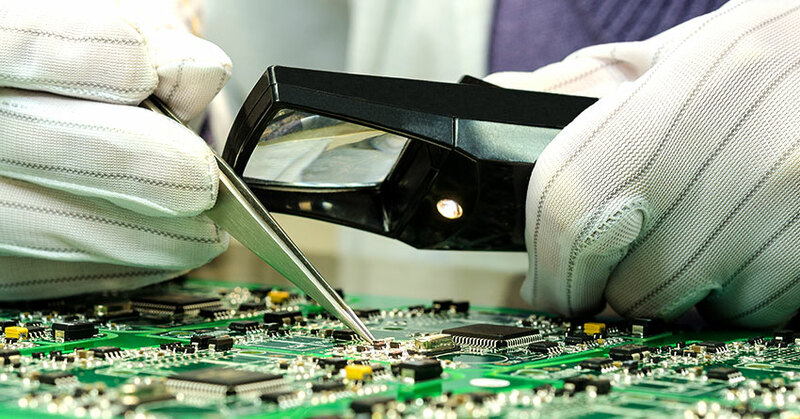 LRIPL’s complete electronic manufacturing solutions allows to design, manufacture, test, distribute and provide repair services for electronic components and assembly services for original equipment manufacturers. From printed circuit boards to assembly and packaging of the finished products, LRIPL quality controls the entire production process, from the design to the execution. LRIPL’s customer satisfaction rises many folds as LRIPL provides complete post sales customer service thereby ensuring no customer is ever left unsatisfied. The production unit is supported by state of art international technology which sets LRIPL apart from any other brand of India. LRIPL is the proud owner of 2 SMT lines which are backed by Japan’s Fuji SMT Line. The brand’s production unit is fully equipped with Dry compressed air supply, with compressor capacity rate of 238 CFM with standby facility. ESD flooring equips the company from static charges. Quality assurance is meted through product reliability test, STB Soaking testing stations, Humidity reliability test, Temperature reliability test & other Analytical instruments. With the use of best of the industry’s professionals and world class equipment’s, LRIPL has the capacity to produce 4 lakh units per month. The unit is harnessed with automatic machines which allows smooth execution of the above process, including Auto Optical Testing Machine.